Red, swollen gums lead to more than just discomfort. It’s a sign of periodontal disease, or gum disease, which if left untreated leads to receding gums and even tooth loss. 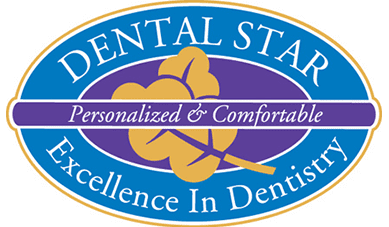 If you have signs of periodontal disease, Dr. Vladimir Potepalov and the dental team at Dental Star New Jersey in Englishtown, New Jersey, can help by reducing and even reversing signs of gum disease. Call to learn more or book online today. When your gums recede, your teeth can become loose or even fall out. Gingivitis, a mild form of gum disease, is often reversed with proper dental treatment and good at-home oral hygiene. Some people are more prone to gum disease than others, but the plaque is the main cause of gum disease and tooth decay. Plaque is a sticky film containing bacteria, that builds up on your teeth over time. Plaque build-up on the teeth can harden and turn to tartar, which is more difficult to remove. Tartar irritates the lining of gums causing swollen, inflamed gums and tooth decay. When your gums recede your teeth can shift, become loose, and fall even out. You can’t always avoid periodontal disease, but healthy lifestyle habits and regular dental cleanings greatly reduce your risk of developing it. For more severe cases of periodontal disease and gum recession, Dr. Potepalov may use more thorough cleaning techniques (scaling and root planing), soft tissue grafts, bone grafting, or other innovative methods to restore tissue and reduce your risk of tooth loss. You don’t have to live with periodontal disease, as doing so can ruin your smile. Call today to schedule a cleaning and exam with Dr. Potepalov or use the online scheduling tool.